Last night we had some Japanese take away with friends for a fun, relaxing evening. After having an avocado brown rice roll, miso soup and a side salad, I was stuffed and ended up taking about half of my main meal of Vegetable Yaki Udon home. The best way to doctor it up so the smaller amount is actually filling? 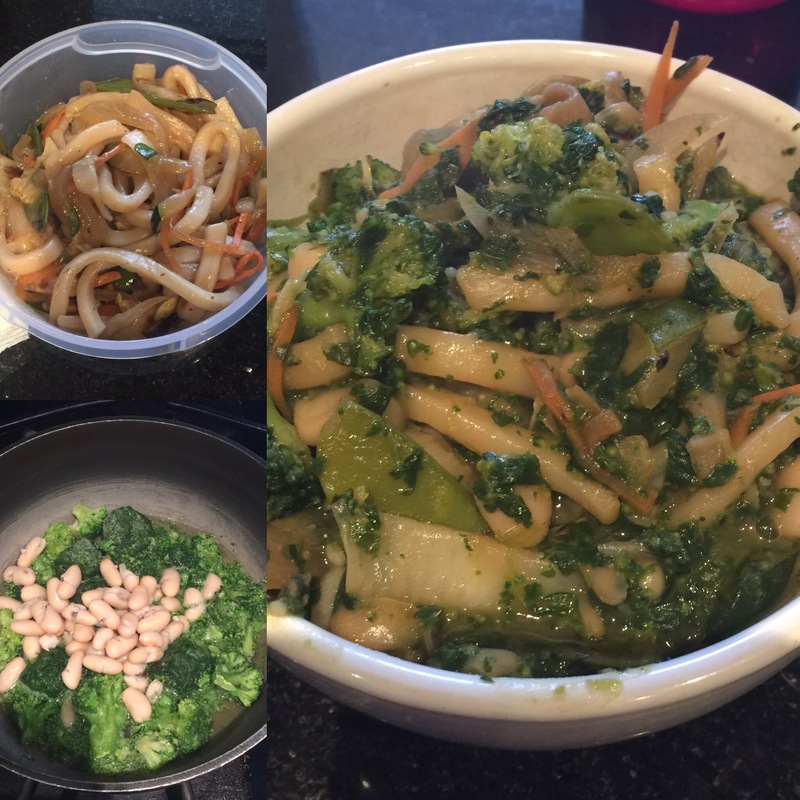 First, boil 3 oz each of frozen broccoli and spinach, 1/2 cup white beans, and 1/2 cup of vegetable broth. Once the broth has reduced and the vegetables are heated all the way through, throw in the leftover noodles and serve once heated completely. I prefer to reheat on the stove, but this totally works in the microwave.